The new favorite bracelet designed by Melinda. She is a great yoga teacher, mother and grandmother. 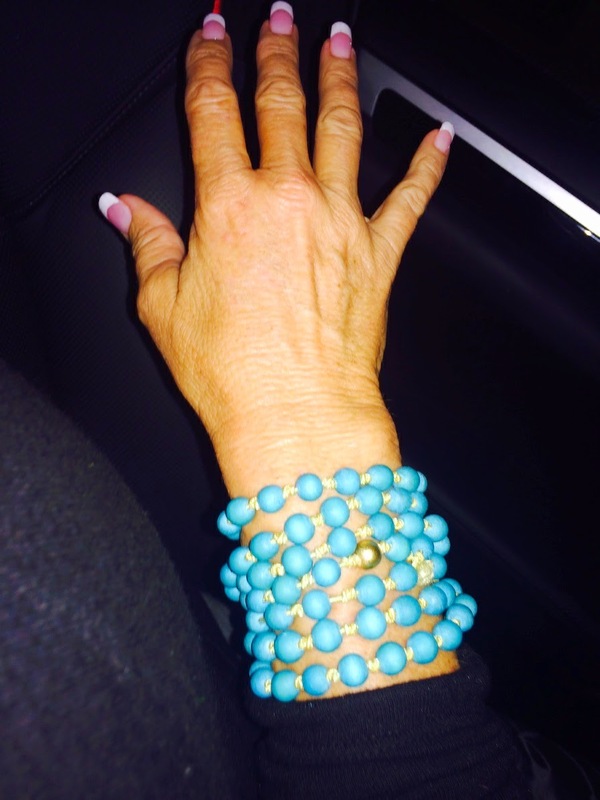 The Heavenly Turq bracelet is in loving memory of her son Christopher's "Heaven Day!" Happy Thursday!! Love and healing to all.